The Congressional Black Caucus (CBC) released the following statement applauding the appointment of two members to the House Select Committee on the Clim­ate Crisis. 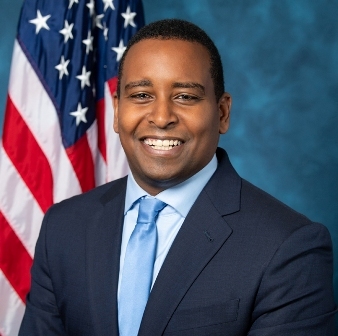 Repre­sen­tatives Donald McEachin (D-VA) and Joe Neguse (D-CO) were selected to serve on the committee, which will spearhead efforts to prevent and reverse the climate crisis. 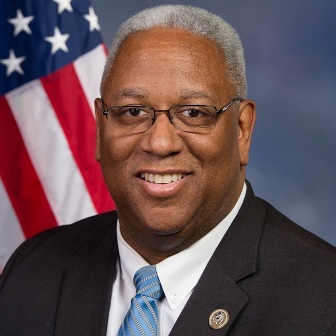 Congressman McEachin has been a clean energy and environmental justice champion since serving as a state legislator, when he passed legislation that enabled major renewable energy developments. In Congress, he co-founded and co-chairs the United for Climate and Environmental Justice Task Force; co-chairs the House Democratic Environmental Message Team; co-chairs the Congressional Black Caucus’ Energy, Environment and Agriculture Task Force; serves as Vice-Chair of the Sustainable Energy and Environment Coalition; and serves on the Energy and Commerce Committee and Natural Resources Committee. Before coming to Congress, Neguse devoted his career to serving the public, including leading Colorado’s consumer protection agency (which includes the state’s Public Utilities Commission) and co-founding New Era Colorado, a non-profit organization committed to climate and clean energy issues. With New Era Colorado, Neguse worked to engage young people in efforts to fight climate change and to promote clean energy in the state. Now, Neguse serves on the House Natural Resources Committee, and is a member of the House Sustain­able Energy and Environment Coalition (SEEC). Neguse represents Colorado’s 2nd Congressional District, one of the leading epicenters of climate research in the country, including multiple Federal labs such as the National Oceanic and Atmospheric Association (NOAA) in Boulder and the Cooperative Institute for Research in the Atmosphere (CIRA) in Fort Collins. His priorities in Congress are protecting our treasured public lands and fighting the existential threat of climate change. Neguse is committed to bold action on renewable and clean energy, and protecting the incredible public lands in Colorado and beyond. Neguse has supported the Green New Deal because it outlines comprehensive action at the federal level to transition to 100 percent renewable energy and leverage the skills and the ingenuity of the American workforce to tackle the climate crisis.